Somebody had to do it, so Elle décor did. 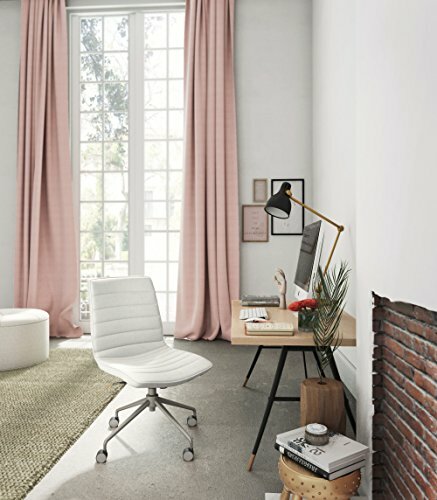 The challenge: transform the boring, black office chair – the one we have all seen and sat in - into a work chair that is both fabulously stylish and famously functional. And we could not be more pleased with the result – the Adelaide task chair. Classic feminine colors are expertly balanced with contemporary stitched lines in a tailored fabric seat. No details are overlooked – even the polished metal base and wheels are as elegant as they are efficient. If you have any questions about this product by Elle Decor, contact us by completing and submitting the form below. If you are looking for a specif part number, please include it with your message.